Our next home game is on Saturday, April 11, at Big Warren. 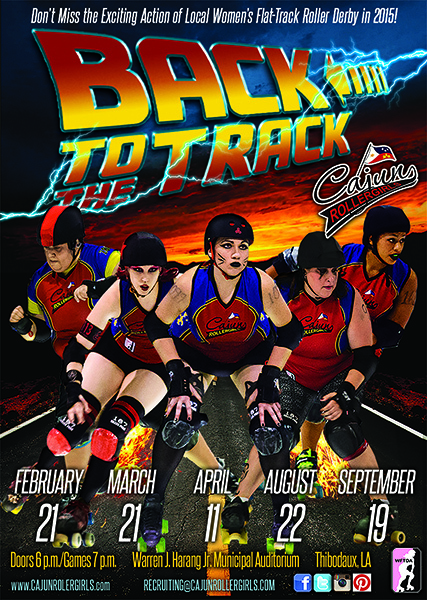 It’s also our last home game until August, so come on our to see your Cajun Rollergirls before we hit the road for a few months. Click HERE for more information, via our Facebook event page.